The curative effect comes from the rhizome, the horizontal running root which contains Curcumin which is present in all Curcuma plants. However, the Ebnera-Royale also contains other, very special active ingredients, which have still not yet been fully researched. These are the elements that combine to make Ebnera-Royale such an unusual and extraordinarily powerful remedy. 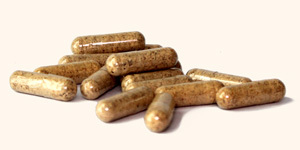 For one month: 90 capsules (300mg), 1 capsule taken three times per day at meal times. In cases of very serious illness also 2 capsules three times per day or 3 capsules two times per day. Take after a meal with a glas of water. 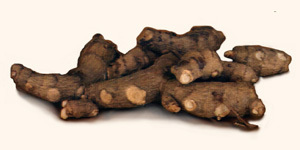 The root is taken for two months or at least until the illness shows signs of reducing. In cases of cancer, the cure should be taken for a minimum period of two to four months. Positive signs of recovery should be noticeable after one month. In cases of chronic borreliosis we have seen a first effect after one week (with min. 3 capsules daily) already. As a prophylactic, the root can be taken daily. This has the effect of strengthening the body’s immune system, increasing its defences and thus reducing the risk of infection. The empirical experience made with Ebnera-Royale over the last 22 years has shown no signs whatsoever of any side effects and can be combined with other forms of treatment and therapy. Ebnera-Royale is in fact able to relieve some of the unpleasant side effects of radiation or chermotherapy treatments. You can obtain the Ebnera-Royale curative plant here. You want to know more about the history of the Ebnera-Royale herbal remedy? Read the story of Freddy Ebner, the Danish naturopath who rediscovered the Ebnera-Royale root. We do not claim to cure, prevent or treat any disease. Ebnera-Royale is not responsible or liable for any diagnosis made by a user based on the content of the website. The information contained in this website is for general information purposes only, and is not meant to substitute any professional medical care, advice, or diagnosis or treatment of a doctor. The web site does not have answers to all problems. If you have or suspect that you have a medical problem, promptly contact your health care provider. Information and statements regarding herbal remedies have not been evaluated by the Food and Drug Administration. Although reported successful in Thailand, they are not intended to diagnose, treat, cure, or prevent any disease.